Flight VS13 was the 13th Soyuz liftoff performed from French Guiana since this vehicle’s 2011 introduction at the Spaceport. This record number of Arianespace launcher family missions performed during the year were composed of six heavy-lift Ariane 5 flights, three with the medium-lift Soyuz and three using the lightweight Vega – evenly divided between institutional and commercial customers. 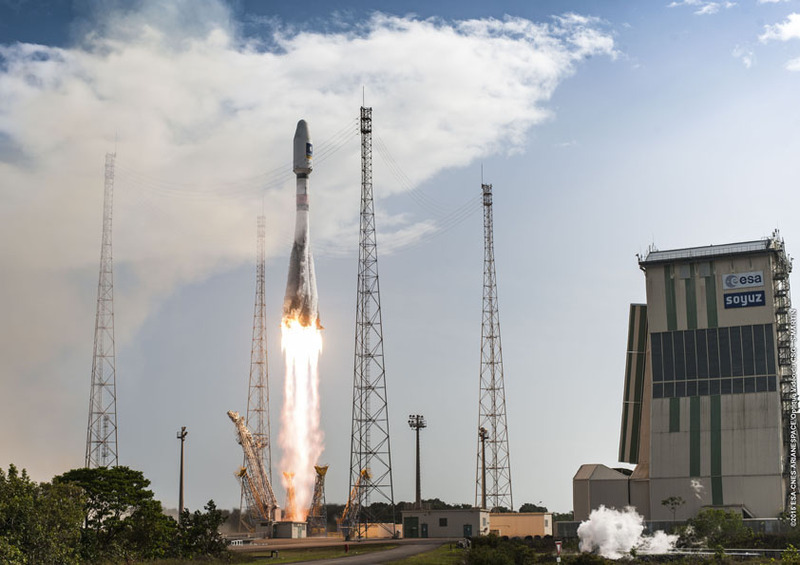 Additional records set by Arianespace include the largest total payload mass injected into geostationary transfer orbit in a year (greater than 53 metric tons) and the highest order intake in one year since the company’s creation (representing a value of nearly 2.4 billion euros). 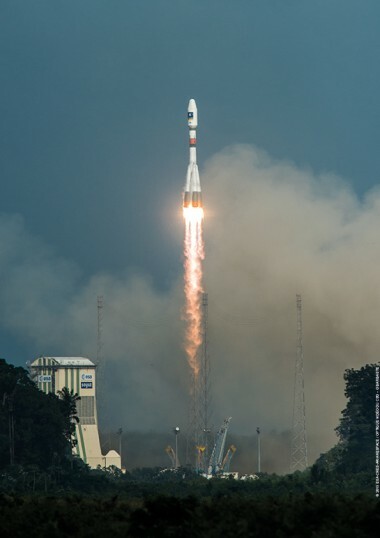 Chairman and CEO Israël said that Arianespace’s launch performance throughout 2015 illustrated “better than ever” the company’s mission to grantee autonomous European access to space. “In doing so, Arianespace has also paid tribute to sustainable development in the year of COP21 with five launches – three for Galileo, one for Copernicus with Sentinel-2A and one with EUMETSAT with MSG-4 – which will have a direct and positive impact on our environment,” he concluded.